AIIMS Delhi Recruitment 2018 - Apply Online for 96 Group A & Group B Posts in AIIMS Delhi. 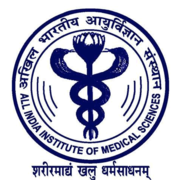 Online Applications are invited by All India Institute Of Medical Sciences (AIIMS) - New Delhi from 18 May 2018 to 18 Jun 2018 05:00 PM for 96 vacancies. Sr. Biochemist 02 1) A good master's degree in Biochemistry. 2) Seven years' research or practical experience. 3) Technical competence to handle sophisticated instruments like analysors, spectrophotometers, flame photometer etc. 02 1) A recognised medical qualification included in I or II Schedule or Part II of the 3rd Schedule. 2) Five years experience in Blood Bank work after registration as a Medical Graduate. 3) The candidate must be registered with a State Medical Council. Assistant Blood Transfusion Officer 02 1) A recognised medical qualification included in I or II Schedule test or Part II of the 3rd Schedule. Tutor in Nursing 04 1. B.Sc Nursing Degree from a recognised Institution/University. OR Registered Nurse and Midwife, with sister Tutors Diploma. 05 M.Sc. First Class in relevant Subject. 2) 5 years of experience as Office Supdt. Or in equivalent post. 2) Nurse; or Bachelor's Degree in any subject. 2) Experience in the line with a Welfare or Health Agency. ii) Degree in Physiotherapy / Occupational Therapy. (ii) 2 years experience in the line/preferably in a large teaching hospital. 03 1) Masters Degree in Psychology at least II nd class. 2) Five years working experience with physically handicapped in a Rehabilitation centre. 01 Matriculation or equivalent from a recognized University/ Board. (ii) Diploma in Physical Training Instructor. (iii) One year experience as Physical Training Instructor in a teaching Institution. The selection will be on the basis of Interview/ Written test/ CBT. Eligible candidates may apply online at AIIMS Delhi's website (direct link is given below) from 18 May 2018 to 18 Jun 2018 05:00 PM. Candidates log on to http://www.aiims.edu/.